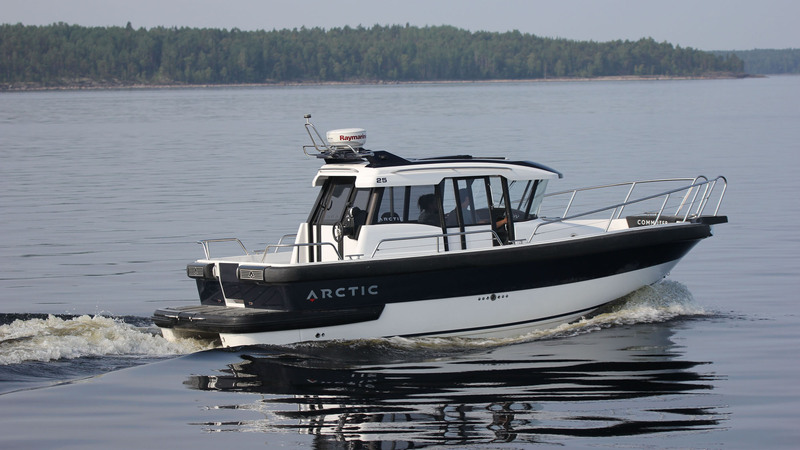 The Commuter 25 is the first boat from Arctic, a new brand from Estonia on the boating market. This work style boat is build on a deep V hull that guarantees good seaworthiness. Available with inboard or outboard engines the 25 can be equipped with an additional helm station in the cockpit. There’s a lot of space in cockpit and bow deck. The Cabin with comfortable sides doors offers enough space to sleep for 3 adults.